My good friend asked me to make a birthday cake for her daughters 5th birthday. I was flattered. 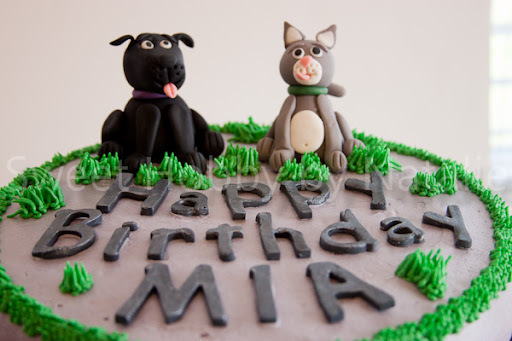 First we talked about doing a Disney Princess cake but she saw the dog and cat cakes I had made previously this year and since Mia loves her dog so much she decided to do the duo. 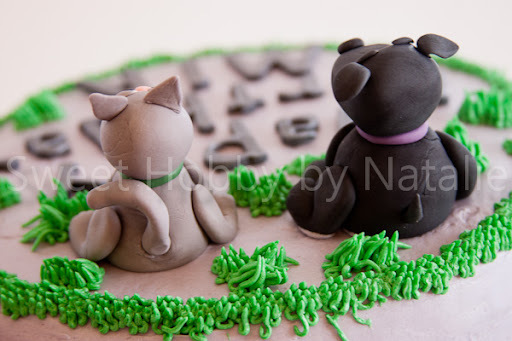 This is the third time I have made this adorable duo but this time we get a black dog and grey kitty. I made a chocolate cake and used "The best frosting I've ever had" to fill and ice the cake. It seriously is so yummy especially paired with chocolate cake! 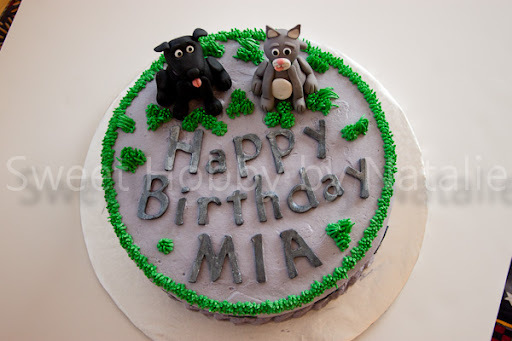 My friend said that Mia tried to eat the animals but they were too hard. I used gum paste this time, I felt bad after she told me that cause I could have just used fondant and she probably could have eaten it. But she said they put them in a bog cause Mia wanted to keep them. 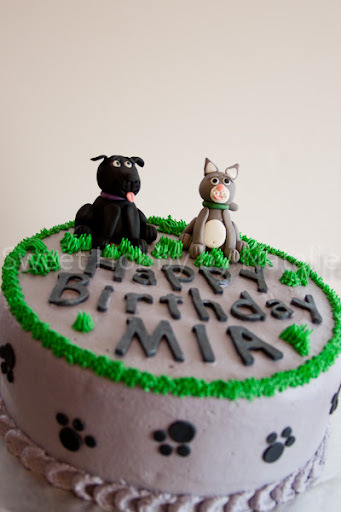 Great looking cake!!!!! The dog and cat are adorable!! !